Buda Castle is the result of many palaces built and destroyed over the centuries, after numerous invasions and attacks on the Hungarian nation. Buda Castle was built by King Béla IV in the 13th century, enlarged in a Gothic style by King Zsigmond of Luxemburg and expanded upon with a Renaissance flair by King Mátyás (1443-1490). It was then reduced to debris when Buda was liberated from the Turks by the Christian forces (1686). Later, a new smaller palace was built by the Hapsburgs in the Baroque style (1715-1748), but this was burned down during the War of Independence (1849). Soon afterward, it was reconstructed (1850) and greatly enlarged on a neo-Baroque style by Alajos Hauszmann (1875-1912). During World War II, the Palace was made the German army’s centre of operations but, unluckily, it was bombarded by the Russians. The subsequent reconstruction has retained Gothic and Baroque elements, as well as medieval sections discovered during reconstruction. 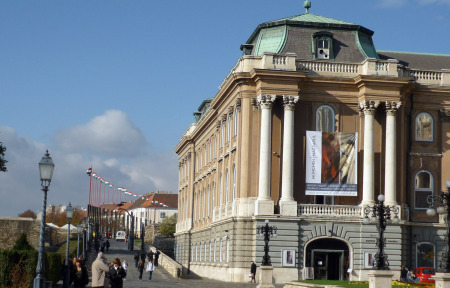 It is the largest public collection, documenting and presenting the rise and development of the fine arts in Hungary. It contains an enormous collection that includes approximately 6,000 paintings, 2,100 sculptures, 3,100 medals, 11,000 drawings and 5,000 prints . 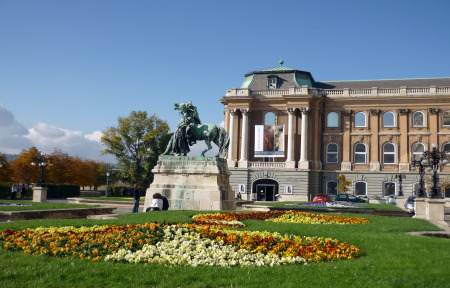 The Hungarian National Gallery was opened in 1957 in the building that today houses the Museum of Ethnography. Open Tuesday to Sundays 10:00 am- 6:00 pm. 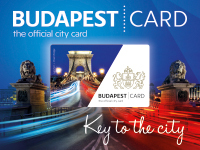 It displays fascinating permanent exhibits of Budapest history from early tribal settlements to modern urban life. There are several collections of items of Roman and Medieval-era pieces such as weapons, jewellery, pottery and day-to-day life objects. The basement of the Museum contains restored Gothic-Renaissance rooms of the mostly destroyed Medieval building. The archaic walls, the Gothic room and the Royal Chapel, built by Nagy Lajos (Louis the Great) in the 1360’s, recreate the atmosphere of the Old Buda Castle. 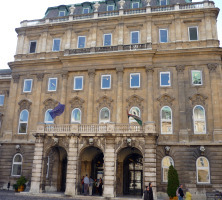 The Széchenyi Library is the National Library of Hungary. It was founded in 1802 by Count Ferenc Széchényi and features temporary exhibits of exceptional books and historic documents. It currently contains 10 million items, among which is the first book ever printed in Hungary (Chronica Hungarorum, published in 1473) as well as ancient texts belonging to King Matthias. From the time of its creation, the library’s task has been to collect all works published in Hungary, in Hungarian or foreign languages, all works written abroad by Hungarians, non Hungarians or with the collaboration of Hungarians and all works published abroad in foreign languages related to Hungary. 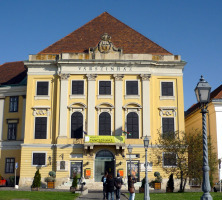 The Castle Theatre is the only 18th century theatre building in Hungary which still functions as a theatre. This former Carmelite church was converted into a theatre in 1784, during the reign of Emperor Joseph II. 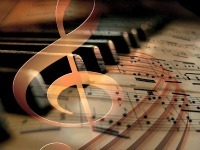 The first play performed in the theatre was the “Monk of the Carmel Hill” on October 17, 1787. In the beginning, all of the plays were performed in German and it was not until 1790 that the first play in Hungarian took place. Today, the Castle Theatre is well known as the National Dance Theatre, where a great variety of dance genres are featured. 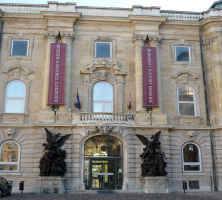 There is a small gallery dedicated to outstanding Hungarian painters. The theatre is located on Színház utca 1-3, next to Sándor Palace. 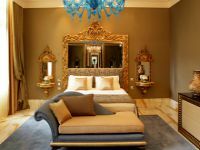 This Classicist style palace, designed by Mihály Pollac, was built at the beginning of the 19th century. It was almost totally demolished during World War II. The Palace was renovated at the beginning of this decade and once served as the residence of the Prime Minister, but now houses the Presidential Offices. Once a year, in the third week of September, the Palace is open to the public as part of the National Cultural Heritage Days program. If you are around in the summertime, keep in mind that each weekend of August and September, between 10.00 and 18.00 pm, the chamber exhibition of the Palace can also be visited by the public. This exhibition features the history of the palace. There is no charge for admission. The Sándor Palace is located at Szent György tér 1, right next to the cogwheel station (Sikló) and in front of the Buda Castle main entrance. 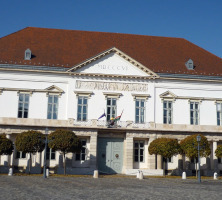 Although the Castle Theatre and Sándor Palace are not inside the Palace Walls, I have included them in this section due to their close proximity to the Palace. 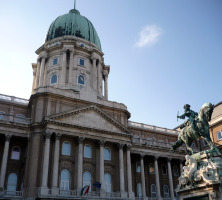 There are two main entrances to Buda Castle. One is just few metres to the left of the upper station of the funicular railway. You can’t miss the ornamental gate, adorned with the impressive Turul that looks as if it’s guarding the Palace. The Turul is a mythical bird that resembles an eagle. 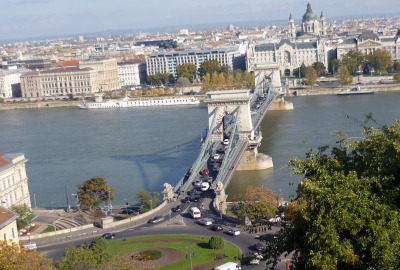 It is the symbol of the Hungarian Nation. If you are coming southwards from the Old Town, you will easily find the other entrance to the castle, the Corvinus Gate, which you’ll see straight ahead from Dísz Tér on Szént György utca or Színház utca. On the right hand side, you’ll see the excavations (of the remnants of Old Castles built in the Middles Ages) that are still taking place and on the left, you’ll see the Castle Theatre and the Sándor Palace. At the end of the flagpole-lined promenade, you’ll find a web-like black gate. On top of the gate, there is a raven with a ring in its beak (the raven was the symbol of King Matthias). This way leads you to King Matthias Fountain and then to the Lion Courtyard. There is another entrance – although it’s not very popular, it’s handy if you’re coming from The Tabán (the green southwest area outside the Castle). 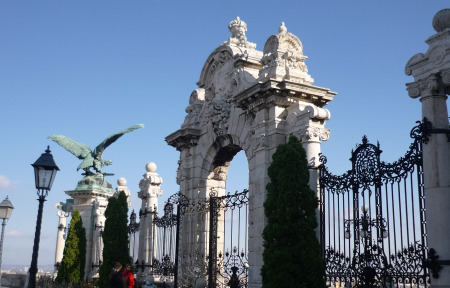 Walk from Szarvas Tér, up the wide steps on Váralja utca, and you’ll find the Ferdinand Gate. Walk through the Gate and up, passing by the Mace Tower, the Great Bastion and the Palace Gardens. Finally, walk up the stairs and you will be at the hall of the History Museum in the Lion Courtyard. The lift on Palota utca (the southeastern street outside the Castle) also brings you up to the Palace, right to the Lion Courtyard.